You Only Die Once! Springfield’s #1 box office draw finally gets top billing on the Simpsons One-Shot Wonders marquee! 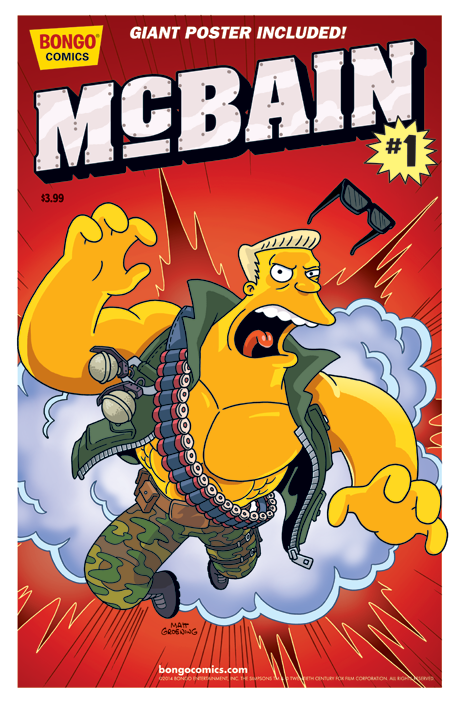 Many of you may know him as the muscle-bound strongman turned action star Rainier Wolfcastle, but the world (as if that wasn’t enough) knows him simply by one name…McBain! Never Say One-Shot Again!